In The Shadow Sister, Star begins her journey of discovery by working in a little antique bookshop in London. I must admit, writing this was an excuse to live vicariously through her. Rare books, to me, are the ultimate luxury. Like Star, give me a rare bookshop over a statement handbag or pair of shoes any day! Every year, I treat myself to special ‘rare book’ or set of them. I also buy one for my eldest son for Christmas and birthdays. The favourites in my collection are my Penguin classics, and my leather-bound Brontes and Dickens special editions. 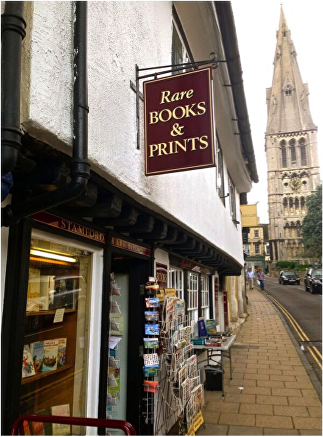 I based Orlando’s shop on that of my good friend Marcus Tyers, who runs St Mary’s Books in Stamford, Lincolnshire. 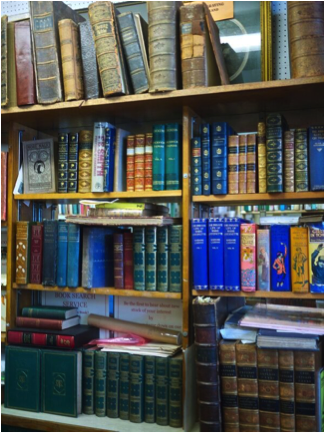 He advised me on the process of acquiring rare books at auctions, how to assess their condition, as well as details on the day-to-day running of a bookshop. 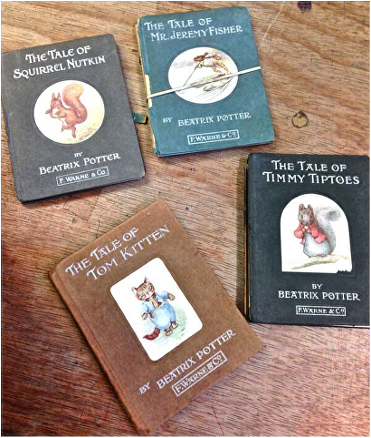 Marcus specializes in Beatrix Potter, and told me that the very first editions of ‘Peter Rabbit’, which Beatrix had privately printed, can cost anywhere between £30-40,000! Many people might not realize the value in old books – some first editions, especially ones that are signed by the author, can fetch astronomical amounts. A first edition of JRR Tolkien’s The Hobbit was sold for £137,000 at Sotheby’s in London, in 2015. Even Orlando couldn’t afford that! A signed edition of Tolstoy’s Anna Karenina, which Orlando eagerly buys when Star first meets him, would actually cost somewhere between £5,000-£10,000. What a bargain in comparison!